Quantitative chemistry calculations Help for problem solving in doing % percentage purity calculations. To 'assay' means to analyse a sample for its purity. This page includes of fully worked examples of percent purity calculations. How do you do assay calculations? Online practice exam chemistry CALCULATIONS and solved problems for KS4 Science GCSE/IGCSE CHEMISTRY and basic starter chemical calculations for A level AS/A2/IB courses. 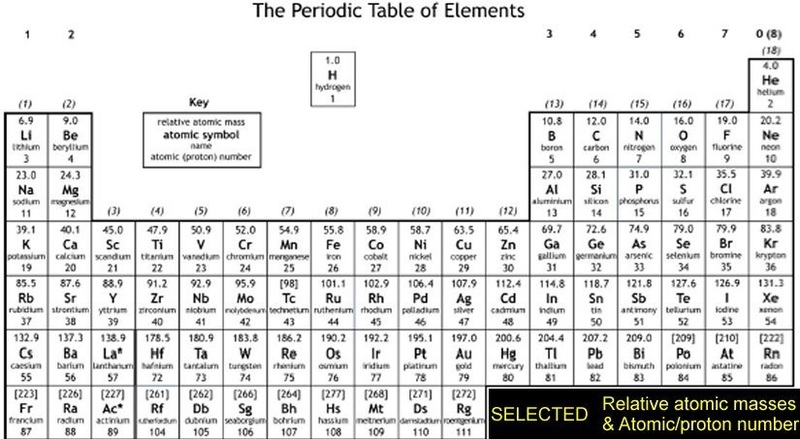 These revision notes and practice questions on how to calculate percent purity and assay chemical calculations with worked examples are fully worked out below and should prove useful for the new AQA, Edexcel and OCR GCSE (9–1) chemistry science courses as well as Advanced A Level Chemistry courses. Purity is very important e.g. for analytical standards in laboratories or pharmaceutical products where impurities could have dangerous side effects in a drug or medicine. However in any chemical process it is almost impossible to get 100.00% purity and so samples are always analysed in industry to monitor the quality of the product. The more a product is processed e.g. by distillation or crystallisation, the more costly the process, but the purer the product gets. Somewhere there has to be a compromise, so it is important that before sale, the product is assayed or analysed as to its percentage purity. It would not be acceptable e.g. in the pharmaceutical industry to manufacture a drug for treating us, with impurities in it, that may have harmful effects. Similarly in fuels for road vehicles, which themselves have additives in to enhance engine performance, you wouldn't want other impurities that may cause engine damage. You can apply the same sort of argument to thousands of domestic and industrial products from the chemical and pharmaceutical industries. An assay is any procedure used to analyse and test for its purity of the % content of a specified component in a mixture of a % of an element or ion etc. % purity is the percentage of the material which is the actually desired chemical in a sample of it. A 12.00g sample of a crystallised pharmaceutical product was found to contain 11.57g of the active drug. Calculate the % purity of the sample of the drug. Sodium chloride was prepared by neutralising sodium hydroxide solution with dilute hydrochloric acid. The solution was gently heated to evaporate most of the water and allow the salt to crystallise. The crystals were separated from any remaining solution and dried on a filter paper. However, the crystals are not necessarily completely dry. The salt maybe required to be completely anhydrous, that is, not containing any water. The prepared salt was analysed for water by heating a sample in an oven at 110oC to measure the evaporation of any residual water. The following results were obtained and from them calculate the % purity of the salt. Mass of evaporating dish empty = 51.32g. Example 14.1 (Q3) Purity calculation - an assay calculation is sketched out below for A Level students + link to others. Titrations can be used to analyse the purity of a substance e.g. here an acid (aspirin) is titrated with standard sodium hydroxide solution of concentration 0.1000 mol dm-3. The aspirin is dissolved in ethanol solvent, diluted with deionised water and titrated with standardised 0.100 mol/dm3 sodium hydroxide solution using phenolphthalein indicator, the end-point is the first permanent pink colour. An assay calculation is 'sketched out' below. Example 14.1 (4) Purity calculation - an assay calculation is sketched out below for A Level students + link to others. 0.300g of aspirin was titrated with sodium hydroxide solution of concentration 4.00g/dm3. If the aspirin required 16.45 cm3 of the NaOH(aq) to neutralise it, calculate the percent purity of the aspirin. Therefore the reacting mass ratio is 180g aspirin reacts with 40g of sodium hydroxide. percentage % purity calculations Revision KS4 Science revising percentage % purity calculations Additional Science Triple Award Science Separate Sciences Courses aid to percentage % purity calculations textbook revision GCSE/IGCSE/O level Chemistry percentage % purity calculations Information Study Notes for revising for AQA GCSE Science percentage % purity calculations, Edexcel GCSE Science/IGCSE Chemistry percentage % purity calculations & OCR 21st Century Science, OCR Gateway Science percentage % purity calculations WJEC gcse science chemistry percentage % purity calculations CEA/CEA gcse science chemistry O Level Chemistry (revise courses equal to US grade 8, grade 9 grade 10 percentage % purity calculations A level Revision notes for GCE Advanced Subsidiary Level percentage % purity calculations AS Advanced Level A2 IB Revising percentage % purity calculations AQA GCE Chemistry OCR GCE Chemistry percentage % purity calculations Edexcel GCE Chemistry Salters Chemistry percentage % purity calculations CIE Chemistry percentage % purity calculations, WJEC GCE AS A2 Chemistry percentage % purity calculations, CCEA/CEA GCE AS A2 Chemistry revising percentage % purity calculations courses for pre-university students (equal to US grade 11 and grade 12 and AP Honours/honors level percentage % purity calculations revision guide to percentage % purity calculations how do you calculate % percentage purity? what is an assay? what is the formula for calculating % percent purity? how can you determine the percentage % purity of a substance? how do you assay aspirin? how do you determine the % percentage purity of aspirin?